Luke & Laura's backyard ceremony was intimate, casual and classy. And, although the day itself was laid back, they went the traditional route and waited to see each other for the first time during their ceremony (you'll want to look for the photo of Luke's reaction!) 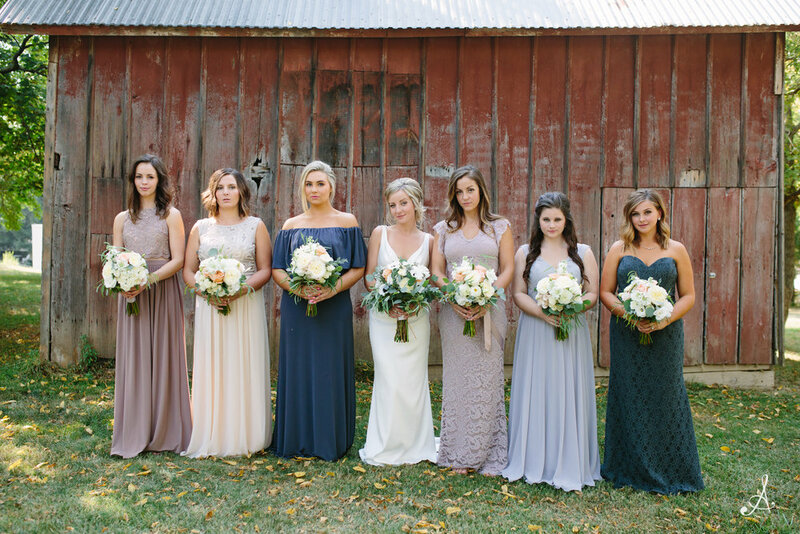 So much to love from this wedding day — the bride's style and taste reflected in everything with the gorgeous backdrop of early fall! Big congratulations to the new Mr. & Mrs!